Many films are adapted from comic books and graphic novels. Heck, the Marvel Cinematic Universe has been running strong for about a decade and it shows no signs of slowing. Usually, these source materials are about superheroes facing super-villains, how they must save humanity, and how they have to stop the planet from imminent destruction. Lots of movies like this are written off as formulaic genre fodder and are reduced to overblown, special effects-heavy, big-budget action juggernauts meant to kill a couple of hours while munching on popcorn during a hot summer's day. Once in a while, there are graphic novel adaptations that focus on problems we deal with every day, more human stories about personal journeys. Such is the case with the film I Kill Giants (2018). It is based on the limited series graphic novel of the same name by Joe Kelly and J. M. Ken Niimura. Joe Kelly also wrote the screenplay, which is brought to life by Anders Walter in his feature film directorial debut. It stars Madison Wolfe as a young girl named Barbara, who is dealing with some family issues at home. In order to cope with the stress and come to terms with the problems she faces, Barbara escapes into a fantasy world where she is a mythical hero who protects her town, and the world, from dangerous giants. 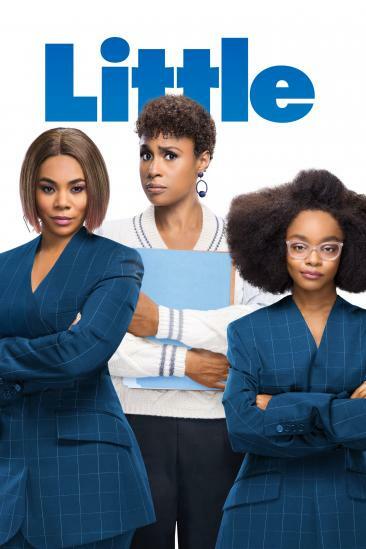 She is mostly closed off from reality, but her new friend Sophia (Sydney Wade) and her school's psychologist Mrs. Mollé (Zoe Saldana) may help her come to terms with the truth she refuses to face. I Kill Giants (2018) hits extremely close to home for us. It is a beautiful, thought-provoking, deeply emotional film that will resonate with almost anybody, especially people who have faced a devastating loss at some point in their life. Though it doesn't deal with the exact same themes and subject matters, I Kill Giants is very reminiscent of A Monster Calls (2016), which didn't see much monetary success in the States but was deserving of more attention than it received. Both films deal with kids escaping into a fantasy-type situation to cope with their real-life issues and traumas. Anders Walter does an utterly fantastic job creating a wonderful atmosphere as he sets a lovely-but-dark mood that reflects the internal struggle Barbara is dealing with as a kid going through one of life's toughest obstacles. Madison Wolfe offers a tremendous performance as a protagonist who is slightly detached from reality. She is someone who does not mince words and has no problem speaking of her beliefs. She's also quick to mention that she protects the world from gargantuan giants, and at times, we even start to believe her. It may be off-putting to some viewers that Barbara can be so anti-social and abrasive, but we fully understand her distress and grief, as well as her apprehensions about getting close to people. We're not all that familiar with Wolfe outside of this film, but we have a feeling she will become a household name in no time, thanks in large part to her commanding performance here. The visual effects are stunning, especially considering the film's modest budget. This isn't a movie overloaded with special effects, so the few times when CGI is implemented on the giant creatures that lurk around Barbara's world, they actually look quite brilliant. The visuals, the pace, the moody atmosphere, and the film's tone lend themselves perfectly to the overall story, in addition to Barbara's character arc. Infused with believable drama, creative fantasy, and heavy emotion, we found ourselves extremely moved by the powerful story in I Kill Giants (2018). By the end, we were left watching the credits roll while tears streamed down our faces. Maybe it's because we can sympathize and empathize with Barbara's struggle. We completely understand where she's coming from and know what it's like to want to be in a fantasy world where we can control everything and be the hero of our story. We have been in her situation and know all too well how anger, fear, sadness, and depression twist and contort their way into your heart, mind, and soul at the most inopportune times. It's a damn shame this movie has been relegated to a simple video-on-demand distribution because it deserves to be seen by as many people as possible. Husband and wife cinephile duo who have made it their mission to see and review all the things!